about this bold new book. See reviews from readers further down below. "Profound and unique ... I heartily commend this book. It is, indeed, a teaching source of timeless truth much needed in these changing times." "George Koch is a trusted pastor, a clear-headed and Word-centered thinker, and the writer of one of the most timely and practical tools for study and teaching to be published recently. What We Believe And Why is more than a solid handbook dealing with the basic doctrinal truths foundational to sound, evangelical theology: it is, at once, profound and unique in Koch’s objective to help today’s believer see the larger picture of the history of redemption. That history is incomplete unless believers are brought to an understanding and grasp of the dynamic role of God’s ancient and chosen people—over the millennia and right through to today. Koch gracefully unfolds the precious yet exacting directives of Paul’s passionate words of instruction and warning to the Gentile Church in Romans, chapters 9-11; thus providing an unique component frequently absent in doctrine books and teaching. As a thorough Bible scholar, Koch provides us with a teaching tool for personal study or small groups; one that is accessible to the average believer without seeming trite or trivial to the well-schooled reader/teacher/leader. As a former Senior Vice President of the Oracle Corporation, but today the pastor of Resurrection Anglican Church in West Chicago, he communicates both with insight and sensitivity. I heartily commend this book: its approach affords a healthy addendum to the usual doctrinal study resource—setting forth the biblical grounds undergirding essential doctrines, while also providing a biblical context for the prophetic moment the Church has entered at this time in history. It is, indeed, a teaching source of timeless truth much needed in these changing times." 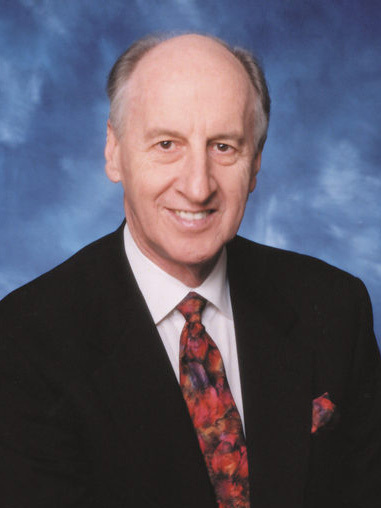 Jack W. Hayford serves as Chancellor of The King's University. From 2004 to 2009, he also served as President of The International Church of the Foursquare Gospel. 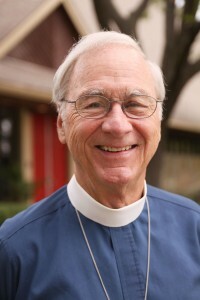 He is probably best known, however, as "Pastor Jack," founding pastor of The Church On The Way in Van Nuys, California, where he served as senior pastor for more than three decades. A prolific and best-selling writer, Pastor Hayford is the author (or co-author) of more than 100 books and has composed 600 hymns and choruses, including the internationally known and widely recorded "Majesty." I am experiencing a very special Thanksgiving, thanks to you. A couple of months ago I read [the paperback] What We Believe and Why. Truly an outstanding work! I have reviewed it frequently and preached from some of your ideas. Today I downloaded the Audible version and listened as I trekked around my neighborhood. It all came alive once again...to the point that I just had to tell you how you have blessed me! Thanks, dear Brother in Christ! 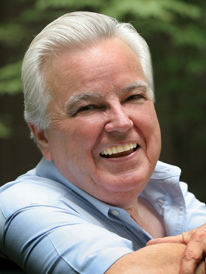 Dr. David R. Mains is Director of Mainstay Ministries, author of numerous books and of the 50 Day Spiritual Adventure used in thousands of churches each Lent, former host of Chapel of the Air, a 30 year ministry on radio and television. Seriously, have you ever seen a title like that? It is Puritan in the way tells you what the core of the book is about and it makes you laugh. This is a magnificent book, pure gold. If you want to read doctrine, or study doctrine in small groups, and do it with a strong emphasis on unity, then get the book. It is available for a great price at www.amazon.com. The Kindle edition is only $3.99. My good friend, Fr. George Koch, is an Anglican pastor who really gets it. He understands that theology is about knowing God and loving him in all that you do. He understands that having theological knowledge is good, but using that knowledge to live well is the real goal of good theology. To this end George has written a magnificent new book, What We Believe and Why. Check the book out at the website George has set up to explain his approach. You can find further vital information at the site. I confess that I have been looking for a book like this for a long time. John H. Armstrong is a Reformed theologian and President of Act 3 Leadership Training; Well-known Christian Blogger; author; former pastor and church-planter, former head of Reformation and Revival Ministries. "This excellent book… an apologia of the Christian Faith… clearly challenges the inquirer, informs them, and encourages them… a thought provoking, purposeful book." "Anytime we see the word “we” used in our culture it invariably begs the question regarding who the “they” may be. That is, the culture in which we find ourselves thinks in an oppositional way rather than in a dialectical way. While I would not consider myself to be on every page on this book as the “we,” neither do I find myself to be the “they.” The purpose of this excellent book is to be an apologia of the Christian Faith that as it says is an exposition of “Christian faith - from its Jewish roots to its future hope - beyond denominational struggles and doctrinal war.” In that regard this book clearly challenges the inquirer, informs them, and encourages them. This is not a denominational manual, nor is it a new version of “Christianity for Dummies.” It is a thoughtful, well-documented work, with an Index, Glossary, and footnotes, that encourages the reader to take the next step in their pilgrimage of faith. The Reverend Doctor George Koch has given all of us (a blending of “we” and “them”) a thought provoking, purposeful book, or as he says, “The true purpose of the Christian life is not merely to know more about God, but to know God more.” That is, likewise, the goal of his book." 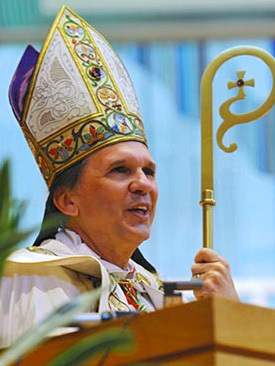 The Right Reverend Keith Ackerman is the former bishop of Quincy, Illinois, and now President of Forward in Faith North America, an Anglo-Catholic movement. “I am reading your book. It is wonderful. I am not aware of a better book that can be used for new believers or seekers to understand the profound and yet simple truths of the Bible and theology that is so easy to read and track with. Its clarity in connecting the story of redemption from the New Covenant to the Old is clear and thoughtful. It presents the unity that can help Christians understand their connectedness to the Jewish faith and for Jewish people to understand how Christian faith relates to Biblical Jewish faith. "Just finished Koch’s book last night. It’s fantastic. And deeply convicting. Through the book, I could see a painful picture of myself as someone desperately seeking acceptance and approval from God and from people. And trying to escape judgment and disfavor. That, as Koch points out, has nothing to do with — in fact, it’s a cheap substitute for — agape love. The last few chapters of the book, which focus on how we treat and ought to treat Christians with whom we disagree, is the most hard-hitting and challenging message to the church (and to me) that I have seen in recent memory. I’m almost speechless." "I’m working through the book slowly but surely. My mind may explode if I move too quickly :) Besides the “essential vs. non-essential” type thinking, the most profound truth I’ve learned so far is regarding salvation. The gospel drives all three parts of our journey following Christ: salvation, sanctification and glorification. Although salvation is necessary for sanctification to occur, the reverse is not true. Sanctification is not necessary for salvation. This contradicts the way I used to view salvation (which Koch explains well). I used to see salvation has being made up of three parts: justification, sanctification and glorification. That explains why I ended up on a sin/repent hamster wheel trying to please God by my obedience and not tick off God by my disobedience. Now my journey is SO much more lively and active since I realized this correction, which came partially from seeing Scripture through the proper lens of grace." "I read your book. I really enjoyed it, and it challenged me in a big way. What I loved best about it was your very elegant... even beautiful!... discussion of essential vs. nonessentials. It HAD to be said! It was like listening to music. Just perfect! I also discovered why I've always felt so Jewish! It makes so much sense! The chapter on Forgiveness was very difficult. It brought me to a new level of soul searching. ...I have been finding that while praying for the ability to forgive, and making the decision to forgive even though my heart doesn't feel like it's there yet, I have had brief bursts... short episodes of..."light"? Anyway, there was so much in your book, that I feel I have to read it again. It was one of those books where I should have highlighted what was NOT important to me!! It would have been a lot less disruptive! :-) Well... I have to say that you and your writing have had a huge effect on this lost, suburban soul. Thank you with all my heart." -Jacqueline, email to author (used with permission). "What We Believe and Why is straight-forward, clear cut, and intelligently written without any of the big word jargon too often found in books that talk about our relationship with God. This book is written for "everyman." The scholarship is outstanding and the content definitely definitely enlightening but, refreshingly, the Rev Dr Koch saw no need to use every theological big-word he knew! Instead of trying to impress us, he TALKS WITH US, and, by doing so, really communicates. "Finally a book that has been written for the rest of US non-theologians who don't know Greek! This book has been a true game-changer for me. What We Believe and Why is written in "English" and discusses the fact that the ONLY essential theme that the church should focus on is a personal relationship with Jesus Christ. Dr. Koch states that anything else outside of this, while often important, is a NON-essential. "If one immerses one's self in George Koch's 24 chapter faith odyssey, one's mind is restarted with the oxygen of redemptive blood flow and one's heart is revived with the energy of compassionate conviction. 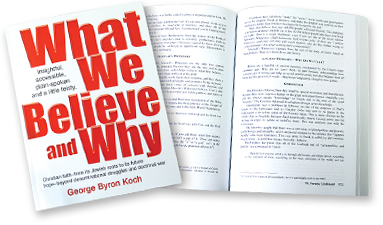 "What We Believe and Why" is a veritable treasure chest of preaching, teaching and reaching for the heart and soul of the Christian church and its followers, as well as the backslidden, the unchurched and the religiously unaffiliated. My suggestion to readers is to buy the book and park yourself in a chair on the ground floor of a building where the ceilings are high and the windows wide and open.